Every weekday tens of thousands of commuters in downtown Cincinnati struggle in traffic to get onto the highway and back to their homes in other neighborhoods or the suburbs. However, City Hall is stalling on taking advantage of a unique opportunity to capitalize on funds to study and re-time the traffic signals to benefit all road users downtown. The last time the traffic patterns of the city’s downtown Central Business District were studied was in the mid 1990’s. Back then the city had about 80,000 workers (a New York Times article puts the number at 82,000 in 1991) which is about 17,000 more than the most recent Downtown Cincinnati Inc. count of 65,000. There are plenty of other things that have happened in downtown Cincinnati since the last traffic signal study, such as the reconfiguration and realignment of Fort Washington Way, the building of the Banks development, an increase of over 10,000 residents and of course the Cincinnati Bell Connector streetcar. 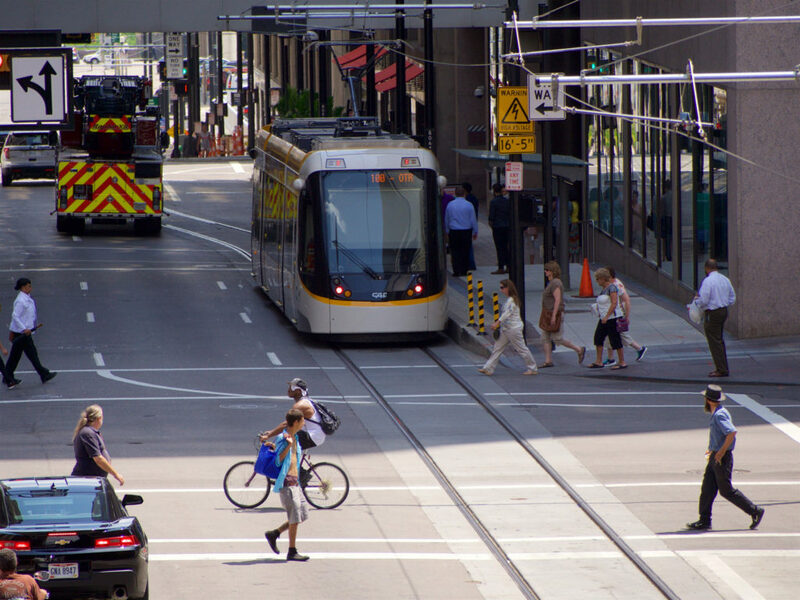 The funds for the study would come from the Cincinnati Streetcar Contingency Fund, basically funds left over from the construction and startup of the system. 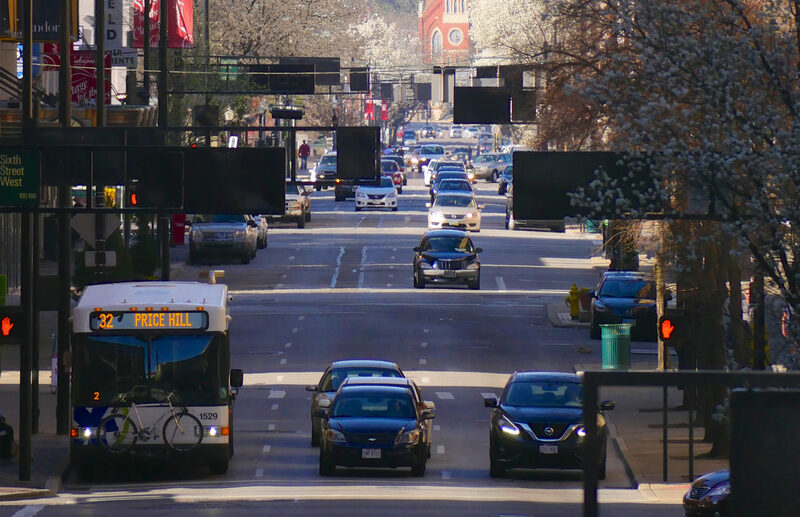 The study would not only allow the city’s Department of Transportation and Engineering (DOTE) to conduct the study but also would fund much needed upgrades to signals across downtown. This would allow for the city to implement a more robust and flexible traffic timing scheme beyond the archaic three phase programming of the current signal system which is only programmed for rush hour, non-rush hour and weekend traffic patterns. In October, City Council voted to approve a motion to start the traffic study. Since then, however, progress has been stalled for unknown reasons. The study was discussed again in council chambers this week as Council members probed Metro and City Administration on streetcar operations. Streetcar supporters are quick to blame the city leadership on stalling to create a narrative that the streetcar is a failure. And the response to that, to blame Transdev, the company that operates the streetcar, should not go unheeded. However; the city is stalling on a golden opportunity to modernize and coordinate downtown traffic for the 21st Century. This is a project that would fit perfectly into the data driven decision-making vision this administration values. And maybe we will all benefit from time saved being stuck in traffic whether we are drivers, pedestrians, cyclists, bus commuters or even streetcar riders.